In continuation of the Skye Bank #TheSkyeIsBigEnough campaign, Skye Bank is giving away free recharge cards to fans online. All you need to do is download the theme song and follow skye bank on social media. Then Watch out for various part of the lyrics on Social Media to win. 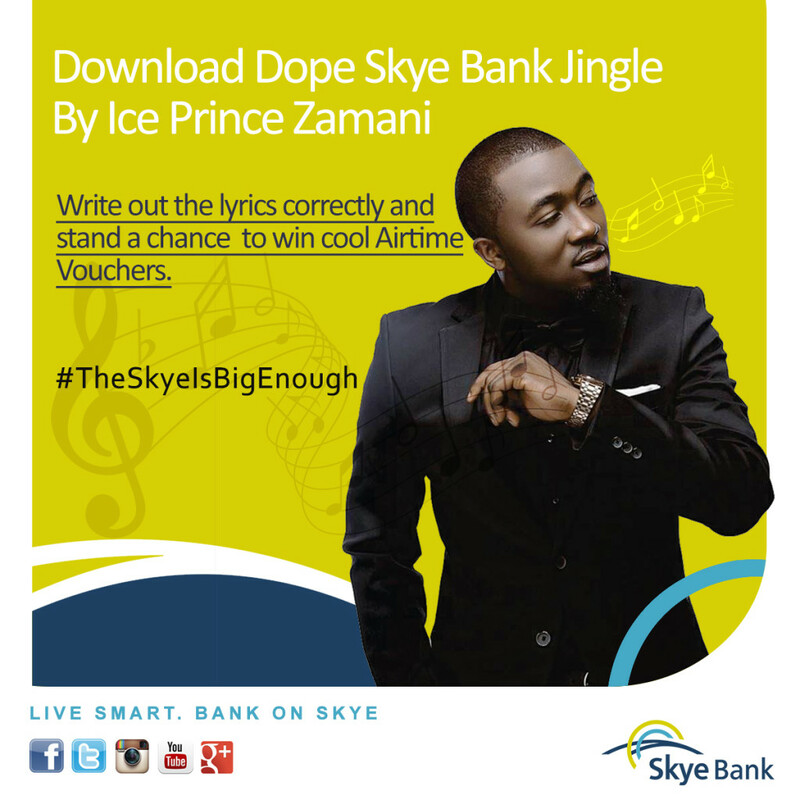 Download and connect the Skye Bank Theme Song lyrics from Ice Prince and get the chance to win N30, 000 worth of recharge card weekly!. And Join the winning fun!. Start Downloading and Start Winning.